Actor and former California governor Arnold Schwarzenegger took aim at President Donald Trump over his proposed $1.2 billion cut to after-school programs. 'President Trump promised us he wants to 'make America great again.' That's not how you make America great, by taking $1.2 billion from the children and robbing them blind,' he said in front of hundreds of program leaders at the National After-School Summit at the University of Southern California's Schwarzenegger Institute, as reported by CNN. Schwarzenegger, who starred in such films as 'The Terminator' and 'Total Recall', before entering politics, also vowed to keep those funds in the budget. 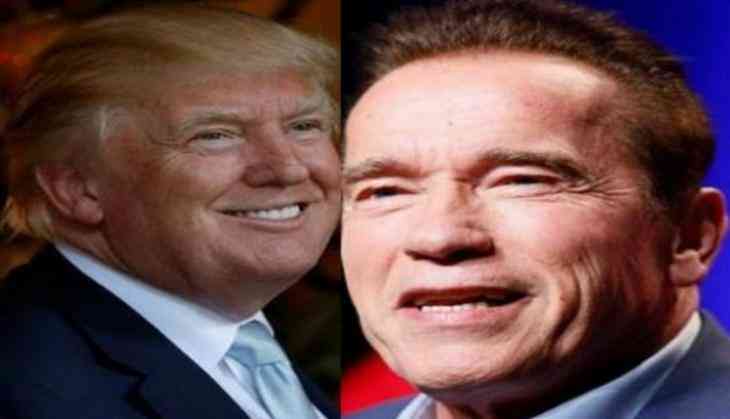 His comments came on the heels of a feud between Trump and Schwarzenegger over the latter's low-rated version of 'The New Celebrity Apprentice. Schwarzenegger was speaking during the 'Ready to Work: How After-school Programs Prepare Students for the Challenges of the 21st Century Workforce' summit, which was hosted by the USC (University of Southern California) Schwarzenegger Institute in partnership with Afterschool Alliance and the After-School All-Stars. The Charles Stewart Mott Foundation supported the event.